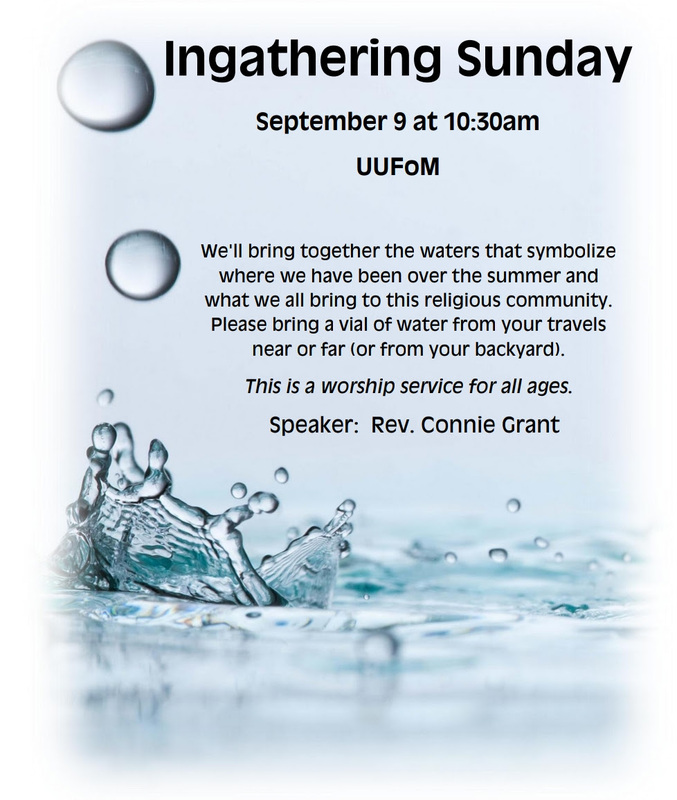 Thank you to each and every member and friend of UUFoM for making Pledge Sunday, September 30, 2018, such a success. Great service, wonderful food, incredible music and money, what more could you ask for. 52% of UUFoM members and friends returned the completed 2019 pledge form on Pledge Sunday. The total amount pledged last Sunday for 2019 was $124,671. Wow! 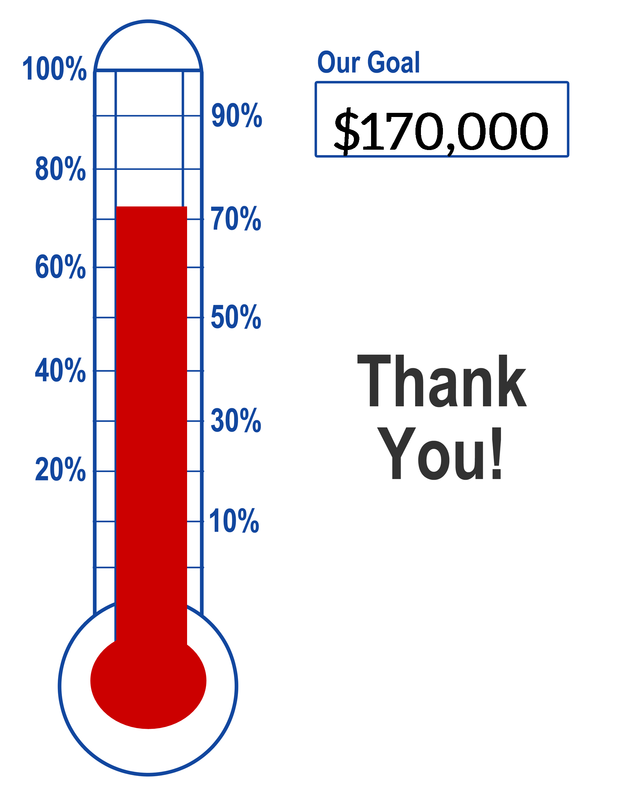 We are on our way to reaching the $170,000 needed to fund our daily Fellowship operations. Those who were unable to return a completed 2019 pledge form Sunday will be contacted by email with a pledge form attached. Tempus fugit. Get those completed pledge forms back right away. Fill out the form here. Do you enjoy listening to Public Radio, specifically Delta Public Radio and CMU Public Radio? This is your opportunity to support our Fellowship as well as Public Radio by making a contribution through our annual “Bundling” program. You can write a check to either Delta Public Radio or CMU Public Radio or both! In return Delta and CMU Public Radio stations advertise the Fellowship on air. It’s a win/win opportunity as you’re supporting both the Fellowship and our community radio programs! Please give checks to Linda Rector by August 20. At long last, excavation work for the parking lot project has begun! The project will extend through early October, after which we should have a smooth paved surface with fresh yellow lining, plus a total of six handicap spaces. While the project is underway, we ask that everyone obey all signs and safety barricades, and beware of trucks and heavy equipment. Make sure to especially monitor any children who may visit the area. The project work will occur only on weekdays. We may end up parking on a gravel lot for several Sundays, but the work activity shouldn’t require cancellation of any church business. In mid-August two new rainwater catch basins will be installed in front of the Fellowship, with a 6-foot deep ditch dug to install a pipe connecting them. This phase will require blocking off much of the area in front of the Fellowship building. Additional activity will occur sometime in August or September, when a paver crew becomes available to grind the old asphalt layer on the entire parking lot. Final paving will be done over three days in late September or early October. During these weekdays the entire parking lot will be closed, but the driveway will not be affected so we’ll ask patrons to park on the grass adjacent to it. If you have any questions or concerns, please contact Tim Wagner or Roy Wedge. Board Acts & Parking Lot in the Works! At the July Board meeting we approved an additional $20-30 thousand dollars in expenditures to cover the cost of parking lot reconstruction. Many thanks to Tim Wagner for the exhaustive, and, I’m sure sometimes exhausting, work he has done over the last sixteen months to research the pros and cons of every possible option for a long term fix for our crumbling parking lot. In the interest of providing a safe parking lot for people coming into our building this winter and locking in the price quotes that would surely increase next year, the board approved moving forward on this project. The first week of August saw the beginning excavation needed to clear the storm water ditch adjacent to the route 10 right of way. Swales, shallow grassy channels, will guide water from our parking lot toward the ditch and into the city storm water system. This drainage solution is approximately $100,000 cheaper than the other option of running a drainage pipe to Jefferson. There will be periods between now and completion in October when we will have a gravel parking lot, but we have been assured parking will be available to us on Sunday mornings throughout the construction process. Please avoid contact with the heavy equipment and observe signs directing you to safe parking areas. Reconstruction of the parking lot is the first step in the strategic plan adopted by the congregation at the October 2016 annual meeting. In the process of discussing final approval of the parking lot proposal, board members made very clear that they are committed to proceeding with the second stage of the plan. The second stage calls for an in depth analysis of the congregation’s building needs followed be a determination of whether the current building can meet our needs. In addition, the Board approved a draft budget which incorporates the anticipated expenses of the ministerial search and relocation process, plus additional hours for our office professional which will enable her to provide more support to our ministry teams. Additional staff support was requested by our ministry teams during our strategic planning process. A 2019 budget incorporating the results of our stewardship campaign will be presented to the congregation for approval at the October annual meeting. The next Fellowship Board meeting will be on August 28 from 7-8:30 pm. All board meetings are open to any member of the Fellowship. The UUFoM Congregational Survey closed on July 10 and all paper surveys have been received. Information from the survey will be shared this summer. Stay tuned! How do people of diverse beliefs become part of one congregation? “UUFOM and You,” led by Rev. Connie Grant and representatives of the Welcome and Engagement Teams will be held on Saturday, August 25, 9AM – 12PM. 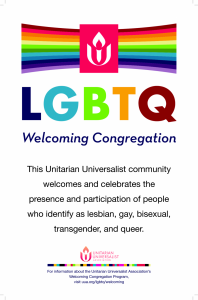 If you think you may have found a spiritual home at UUFOM and are ready to consider becoming a member, or if you are already a member and want to know more, please come! Next Board Meeting will be held Tuesday, July 24 at the Fellowship. The primary agenda items will be review of the 2019 budget proposal and 12 month assessment of our interim ministry. All board meetings are open to any member of the congregation. If there is something you think the board should consider, please contact Sara Clavez, President, 989-687-7003 or saraonblakely@gmail.com no later than the Sunday before the meeting. If you plan to attend in July or August please contact Sara ahead of time in case the meeting location is moved to beat the heat. Fellowship Forms are located on the password-protected Member Directory. Paper copies are available outside of the office in a metal rack. When you’ve completed your form, please place it in the green folder at the top of the rack. Some forms included: Feedback & Suggestion, Maintenance & Building Grounds Repair Request, Pledge form. We will be adding more forms soon. If you have any questions, please contact office@uufom.org. You can access the Member Directory on the password-protected Member section of the website. The Member Directory contains names and contact information for all members and pledging friends. Please notify the office if you need to change your information or you do not wish your information to appear in the online directory.